Paint night, done right. Come and enjoy a night of painting and friends. 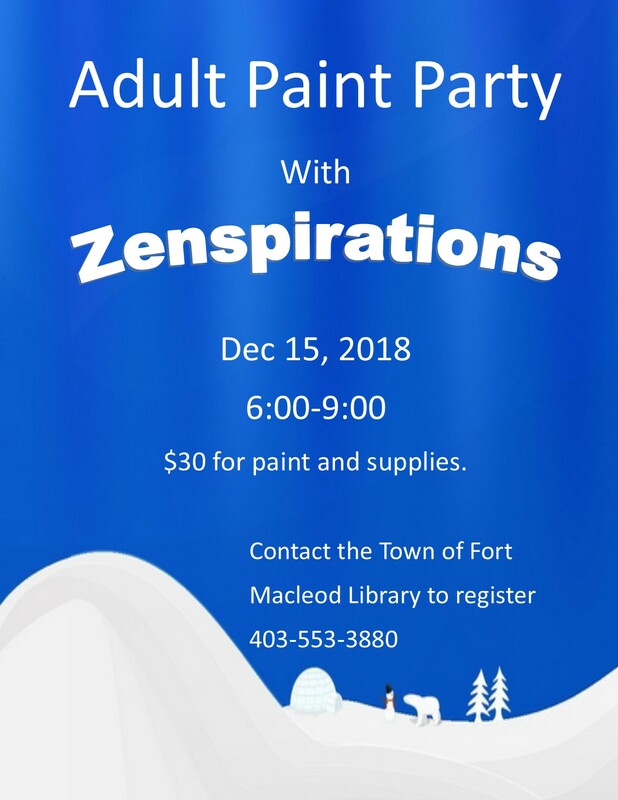 Come paint a tranquil winter forest with Zenspirations! $30 to cover the cost of paint and supplies. Please contact the Town of Fort Macleod Public Library to register.